ASTANA – The second stage of the Steppe Eagle 2016 International Peacekeeping Exercise recently took place at Stanford Training Area in the United Kingdom. The event brought together military experts from Kazakhstan, the U.K., the U.S., Tajikistan and Kyrgyzstan. The first stage of the exercise was held in Kazakhstan at the Iliysky training centre. The second stage of the Steppe Eagle aimed to practice all aspects of peacekeeping operations and cargo convoying. 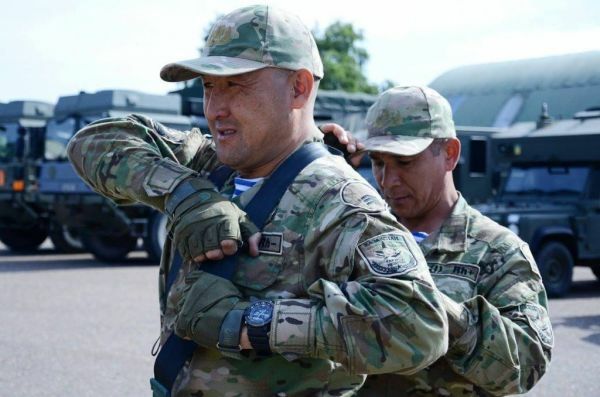 Kazakhstan was represented there by the KAZBRIG Peacekeeping Brigade totalling 270 military personnel, according to the press service of the Defence Ministry of Kazakhstan. Steppe Eagle has proven to be an efficient tool of development of Kazakhstan Armed Forces’ and its peacekeeping potential. Complementing the peacekeeping activity conducted at the Partnership for Peace training centre and within bilateral military cooperation with the U.S., the U.K., Turkey, Germany and France, the exercise helps upgrade the professional level of Kazakhstan peacekeepers. Steppe Eagle is a two-phased, multinational training exercise that enhances partnership and interoperability between nations. 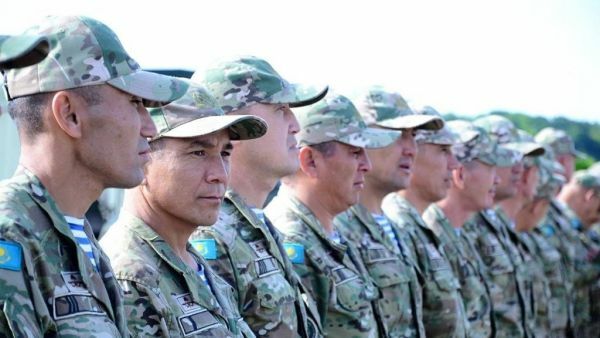 Such exercises are considered to be important because they enhance interoperability of KAZBRIG in peacekeeping operations and test the Kazakh brigade in real conditions as part of international forces under joint command. Experts in peacekeeping operations organise situational trainings, which include base defence and convoy operations, patrolling and helicopter operations. The exercise also includes a sports day for friendly competition between military men of different national contingents, and a three-day field training exercise for testing their abilities to operate in a realistic and dynamic environment. The Steppe Eagle exercises have been conducted since 2003 and involve more than 1,500 troops as well as international military observers, representatives of the North Atlantic Treaty Organisation (NATO) and diplomatic corps members accredited in Kazakhstan. Militaries of the U.S., the U.K., Afghanistan, France, Kyrgyzstan, Nepal, Tajikistan and Turkey have already participated in the exercise.